Excellent turn key horse property on just over five acres and only 2 minutes from the 285 Corridor. Excellent quality 3 stall barn with high ceiling can be used for trailer parking, hay storage, or add stalls as needed. Water and electricity at barn. Sun facing runs attached. Partially cross-fenced with room to additionally divide. 90′ x 55′ exercise arena with improved surface for good footing. Mostly paved and county maintained roads (only Birch is unpaved). Updated and comfortable 3 bed 3 bath home which overlooks the barn for way sight lines to the horses whether in the runs or in the lots. 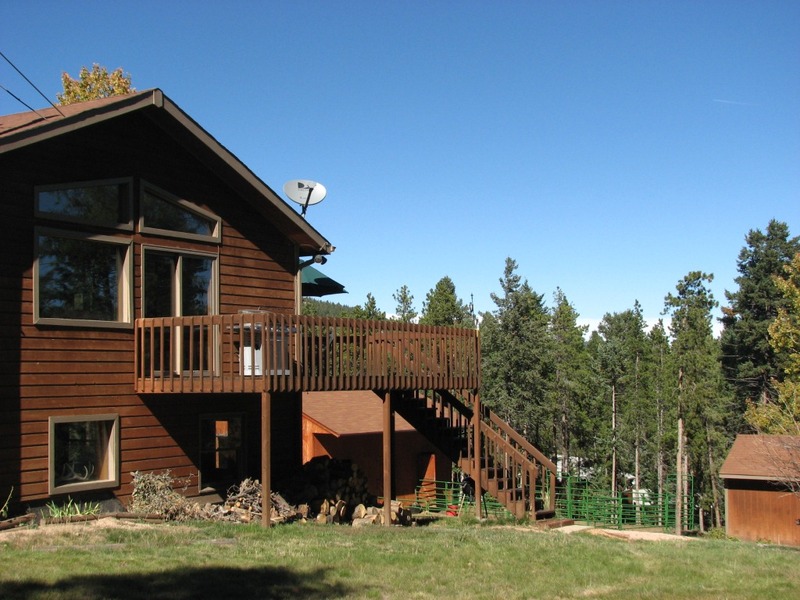 Nice deck, hot tub and fire pit for taking in the wonderful mountain air. Don’t miss this one if you are looking for the horsey lifestyle. Shown by appointment only.